Like us, or just about any other living organism, your dog needs a proper nutritional plan for good health. Serving your dog food too little often results in nutritional deficiencies. 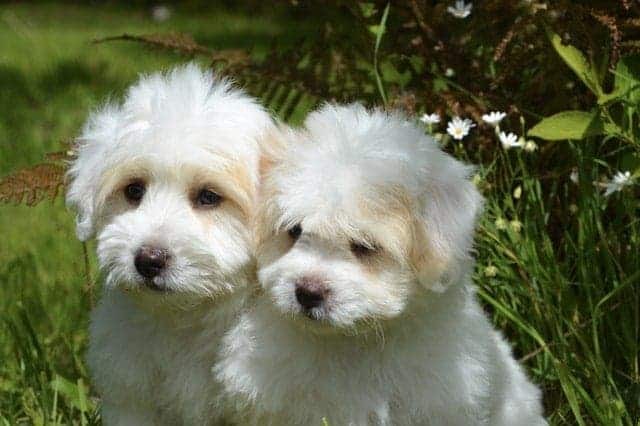 On the other hand, overfeeding your dog leads to obesity and many other health-related issues like osteoarthritis, congestive heart failure, skin disorders and some types of pet cancer. Unfortunately, it’s not easy to tell exactly how much your dog food should be portioned each day. Knowing the exact portion requires basic information like your pet’s age and level of activity. This information determines the metabolic rate and the number of times you should feed your pet each day. So, how much dog food does your dog need to eat? Here are a few tips. Although it’s likely to sound counterintuitive, generally, large dogs require smaller portion sizes while small breeds benefit from large portion servings if you consider your dog’s body weight versus volume of food. Thus, the nutritional needs of each dog vary based on the level of activity, age, and health. Weaning begins at 3 to 4 weeks of age and by 8 weeks, they are completely cut off from mother’s milk. Puppies need protein-rich foods to support their growth and development. So, if you must feed your puppy commercial brands, choose one with a puppy-friendly formulation. Younger puppies need feeding at least 3 times each day- in the morning, at noon and evening. This should continue until nutritional requirements per pound level off. Once a puppy attains the age of 6 months, the frequency of feeding can be lowered to just two times each day. 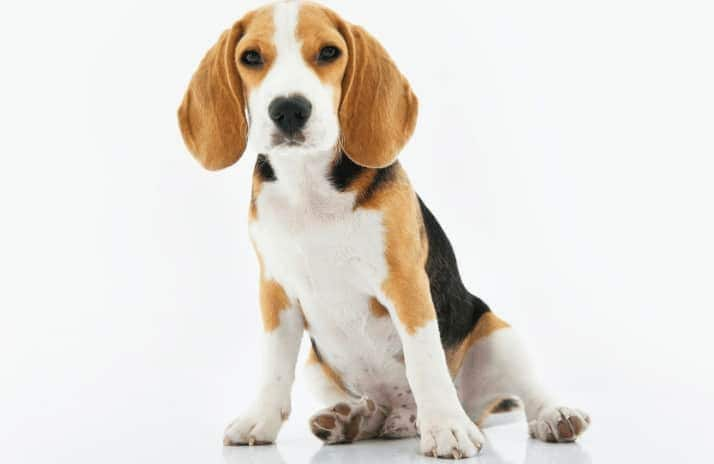 Once your dog is about 1 year old, full maturity has been attained and the dog enters a maintenance period. That means your pet’s nutritional needs will remain relatively the same for most of his early adult life, assuming your pet doesn’t get sick or isn’t excessively active. Your dog’s weight will remain the same while his body develops an observable waist. You will also be able to feel his ribs below a layer of body fat. If you prefer to feed your pet commercially prepared foods, find a brand that is suited for adult pets. A little exercise is highly beneficial to your pet. 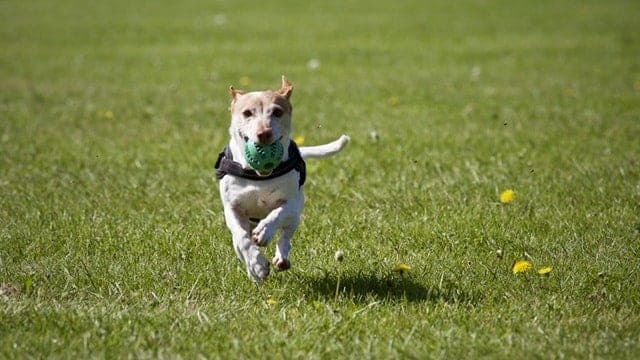 Exercise helps your pet maintain a trim body and keep fit throughout his adult life. However, like us, sometimes pets exercise intensively. Thus, if your pet tends to exercise a lot, you should expect his energy needs to increase significantly. Particularly active dogs shouldn’t be fed before or soon after a workout. Otherwise, your pet will experience vomiting, loose stool or may be at a higher risk of developing gastric bloat. While a sizeable meal is good enough in the morning, highly active pets should be fed most of their meals an hour or more after the last workout. In addition, you can give your pet small treats during highly active days to ward off hunger and fatigue. 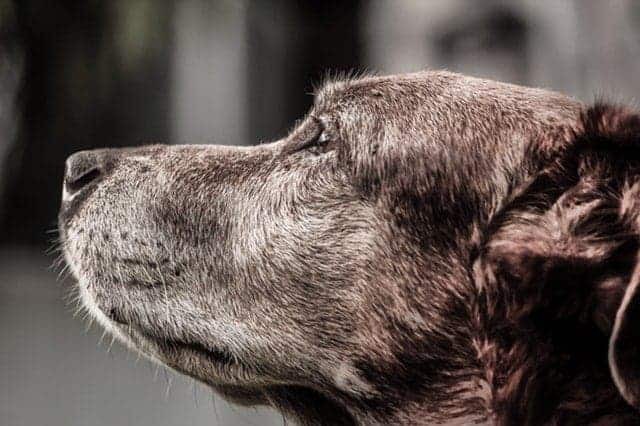 The dietary needs of dogs change as they grow old. Elderly pets have low energy needs so they don’t need the same energy requirements as when they were young. Senior pets require feeding based on the level of activity and their overall health. Less active senior pets tend to gain a lot of weight when fed too much. If your pet’s food consists of commercially prepared chow, ensure you find a brand that is low in calories and has enough of the other essential nutrients. In addition, senior pets can benefit from elevated dog bowls. One of these will ensure he doesn’t strain the neck when feeding. There are many factors to consider before you decide how much dog food to feed your pet. The most common factors include age and level of activity. That said; ensure you feed your pet based on their dietary needs so that he grows properly.